In barcode printers, the main cause of printhead failure is a build up of adhesive, label residue and other debris material. This becomes baked and fused to the printhead producing a layer that prevents the printhead from distributing heat correctly. This can mean that details of the labels are not produced correctly and can in fact permanently damage dots on the printhead due to over heating, making the printhead useless. Simple end user maintenance has a direct and dramatic effect on the lifespan of a printhead. 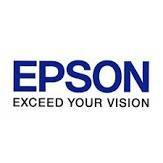 Leading thermal printer manufacturers recommend frequent cleaning as part of a maintenance program to decrease printhead failures by 80%. As well as guarding against dot failure, cleaning printheads on a regular basis helps prevent or eliminate repetitive voids in barcode images. Cleaning should be convenient for operators and scheduled at consistent intervals such as when changing label and ribbon stock. 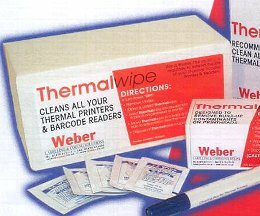 Weber provides three pre-saturated products to clean thermal printheads. These cost effective cleaning supplies are pre-saturated to ensure it is easier for operators to clean printheads regularly and effectively.